Busy creating new photographs to add to The Shop! Keep checking back or follow Ashley on Instagram @photosmashing. Ashley Garmon is a professional photographer based out of Austin, Texas. Yearning to produce quieter, more thoughtful images, Ashley turned to her Holgas, toy cameras made out of plastic. The Holga’s cheap construction and convex-concave lens produces pictures with gorgeous natural distortions, as light leaks and other imperfections contribute to soft-edged, dreamlike images. Shooting with a Holga takes considerable skill and patience. There are only 12 frames on each roll of film, so Ashley must be astute and deliberate in her work. Because the Holga is fairly primitive—with a fixed f-stop and shutter speed—she must carefully read the light before taking each photograph. Ashley’s company, Ashley Garmon Photographers, is one of the premiere wedding photography companies in Texas and has been photographing weddings all over the world since 1998. Ashley has also photographed Lollapalooza, Austin City Limits, Fun Fun Fun Fest, and Sound on Sound Fest. 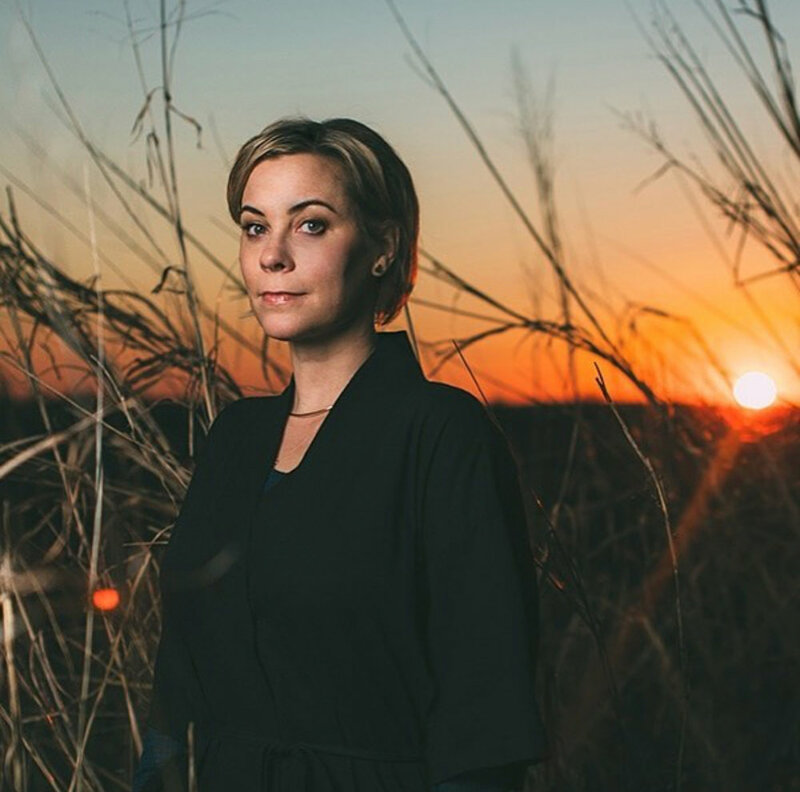 Ashley is a fifth-generation Texan, and most of her family currently lives in West Texas. Although she grew up in San Antonio, people often mistake her for being from West Texas. Recently, she decided to stop fighting this misconception. Ashley also has a golden retriever mix named Hedy Lamarr who gives hugs on command. Hedy is currently in charge of client communications. Want to give an Ashley Garmon print for a gift and can't decide which one? Purchase a gift card! 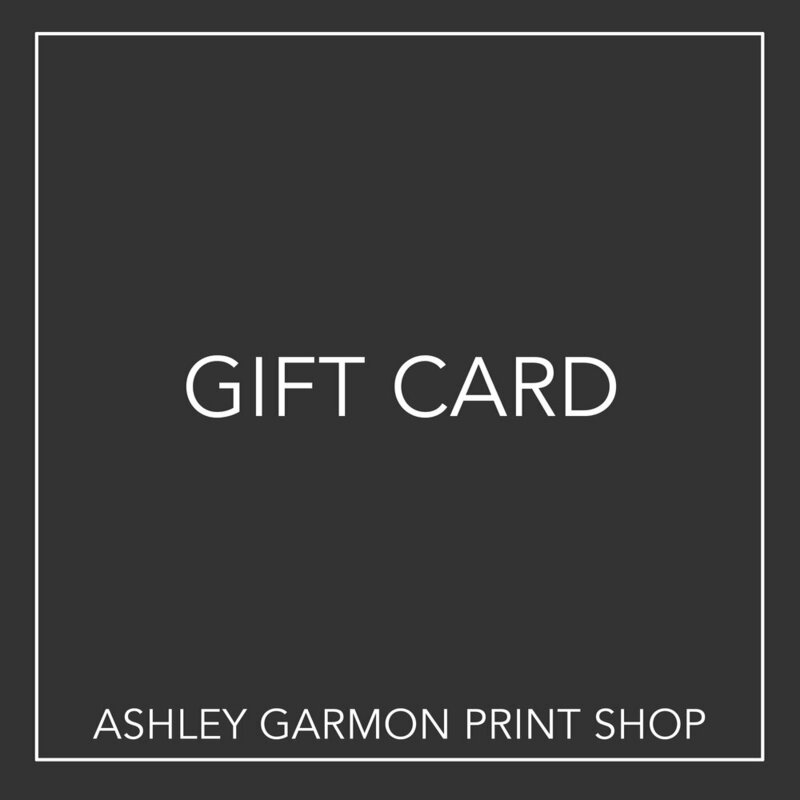 Gift cards are now available by clicking on the gray square to the left. Pick the value then check out then click purchase. On the next page, step 2, GIFT CARD DELIVERY, you will be given the option to enter the recipient's email. Purchasing this digital gift card creates a unique code. The gift card recipient can enter this code at checkout to subtract the gift card value from their order total.